Let’s face it…all of the correspondents from International Living live in Paradise. We all experience a better lifestyle for less money in a warm climate, no matter which country we’ve chosen. And we’re happy to tell you about it. Yes, each country is different, but the basics are the same and each place has all the elements for a fantastic life. We’ve found a better life abroad…and that’s the truth. But what is there beyond Paradise? What makes our every-day experiences so great that they transcend the beauty and economy of the place we live to give us a fuller, more exciting and happy life than we had in our home countries? Why do we want to stay here after the in-your-face beauty of the area becomes the norm and our budget settles in comfortably? I posed the questions to our Expat group where I live in San Juan del Sur and the overwhelming majority attributed their desire to stay in Nicaragua to the Nicaraguans themselves. Donna Burns likes the fact that small children play together with the “neighborhood” watching over them. It’s not uncommon here to see a few children, ages five to eight, riding their bicycles together down the country road, far from home. Or a six-year-old brother walking hand-in-hand with his two-year-old sister to buy something at the local market for their mother. Life here is reminiscent of life in the U.S. back in the 50s when the world was more innocent. Mothers talk of the great benefits of living in Nicaragua, where help and schooling is better than living in the U.S. or Canada. Sara Jones says, “Because we’re here, I get to stay home and raise my children myself, not a nanny or a daycare. Back home in L.A. I was forced to work full-time because the cost of living is so high.” And Tara says, “San Juan del Sur day School! Couldn’t imagine a better place for my little girl!” Julie Speier, a native of Ohio, runs this terrific bilingual school for children up to 11 years. The organic farm on which the school sits provides the perfect place to learn about nature, the environment and sustainable farming at a young age. Due to high demand, Julie has started the process to get the school accredited through high school so the children can go on to International Universities. 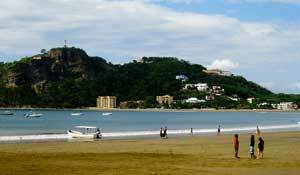 Nicaragua is affordable, beautiful, and could be the perfect place for you to make a paradise of your own. While Nicaragua does have its rules, the country seems more likely to apply them if a big problem presents itself and doesn’t worry about the small stuff. In this sense, it’s true, consider yourself “free” and on your own, without many rules to get in the way. And finally, maybe the most noteworthy reason of all and something that most people don’t think about until they leave it: You don’t have to keep up with the Joneses anymore. Meg Northcroft says, “Doesn’t matter the car you drive, the clothes you wear, the house you live in…I don’t feel the need to ‘keep up’ with anyone.” Elisha MacKay seconds that sentiment: “Here in Nicaragua what I do for work, how nice of a car I drive or how big of a home I own isn’t what matters. These things don’t define ‘who’ I am.” And I’d like to add my own personal comment here. Age prejudice does not exist in Nicaragua. I have friends in their 20s who invite me to their birthday parties on the beach or over to their houses for dinner and I have friends in their 70s and 80s who meet me every Thursday to dance at the local folklore ballet in El Timon Restaurant. Nothing matters, and no one is special. And that’s a good thing. Without all those false trappings, there’s no stress. Nicaragua surprises most people who remember the civil war days or think that it is dangerous. Not only is it the safest country in Central America, people feel free to be themselves, do what they want without feeling any pressure about anything. 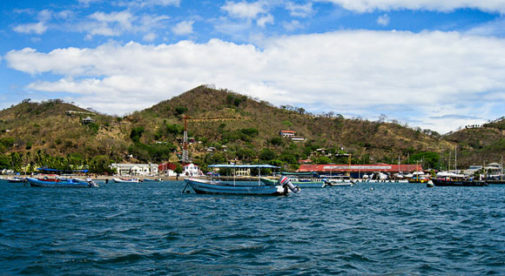 This is why expats stay in Nicaragua. Sure, it’s beautiful and affordable and our lifestyles are better. But most important, we’re genuinely happy here.